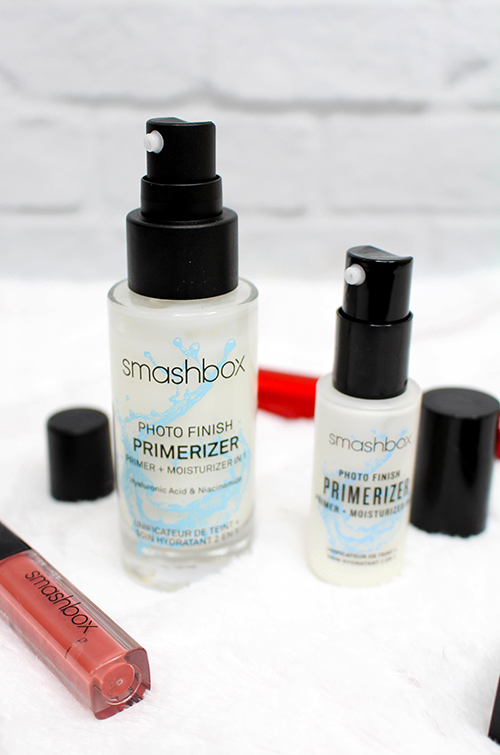 A few years back the Smashbox Primerizer was released. I purchased it as soon as it was released to be able to review it for you, however, right after that was when Norbie (the bearded dragon) passed away so I decided to take a break and when I came back it wasn’t new anymore so I decided to skip it. 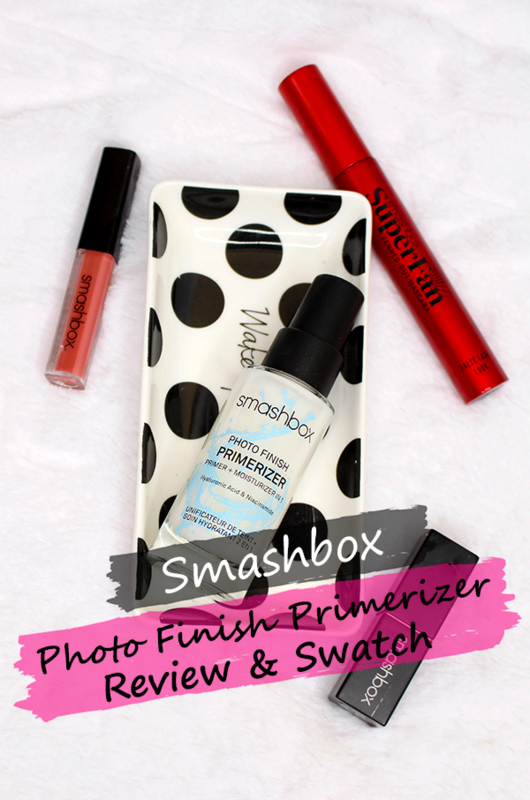 Since this year I’m reviewing products that may not be new but are new to me I decided to review the Smashbox Primerizer since I got it in a Sephora Favorites set and hadn’t actually used the original one I purchased. If you want to know my thoughts on the Smashbox Primerizer check out the video below or just keep scrolling! 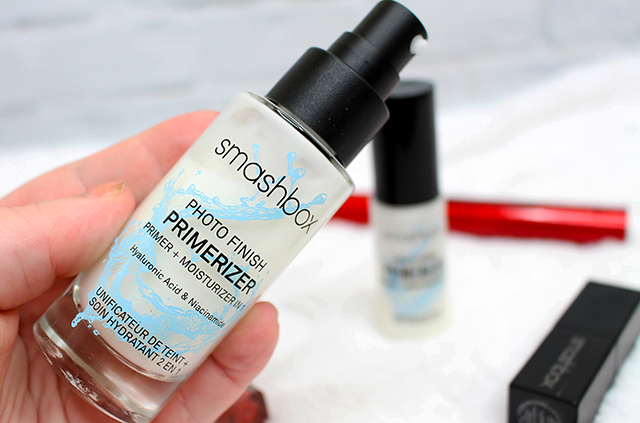 The full-size Smashbox Primerizer comes in a 1 oz. 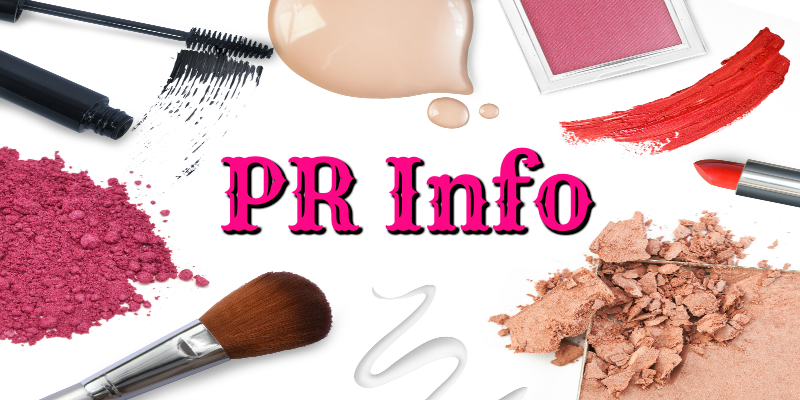 glass bottle with a plastic pump top and retails for $42.00 and can be found at places your purchase beauty products like Sephora, Ulta, Birchbox, Nordstrom, and Macy’s; at home-shopping sites like HSN and QVC; and at Smashbox itself. 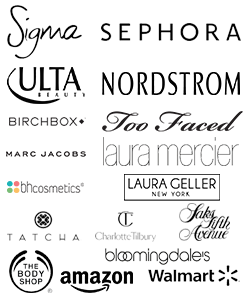 The travel-size 0.5 oz or 15 mL that I received in the Sephora Favorites set is also purchasable at several of those retailers. As I mentioned at the beginning, I had previously purchased the full-size of the Smashbox Primerizer and I received the travel size in the Sephora Favorites kit. We’re going to go over the moisturizer aspect of this primer first. Also, as I mentioned, the moisturizer aspect is supposed to provide instant hydration when you apply it and 24-hour hydration as you wear it via hyaluronic acid in the product. If you have normal or normal combination skin then this would probably be the case for you. However, if you are someone who has dry skin this will not be the case for you. You’re going to want to use your regular moisturizer as normal and then apply this. I will say that I did get a little bit of a boost of hydration when I first applied it which meant that my makeup went on better than usual AND using this as like a double moisturizer worked really well. 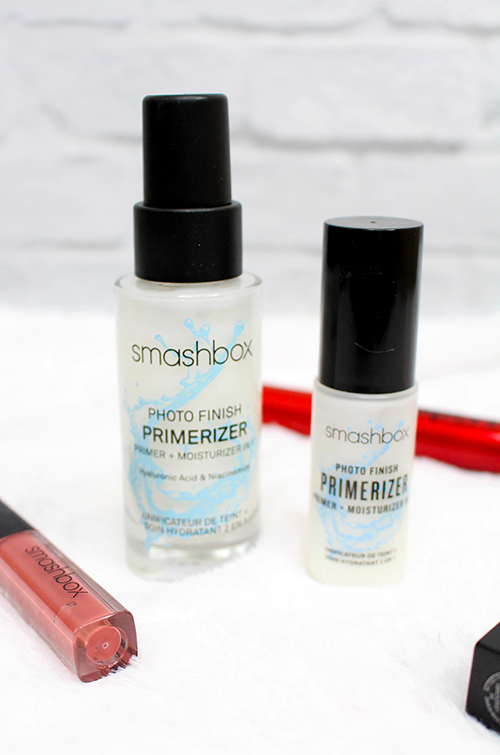 Now let’s move onto the primer aspect of the Smashbox Primerizer. For priming this is supposed to be weightless, smooth the skin, soften fine lines, and stop makeup from settling into the pores. I found this all to be the case. 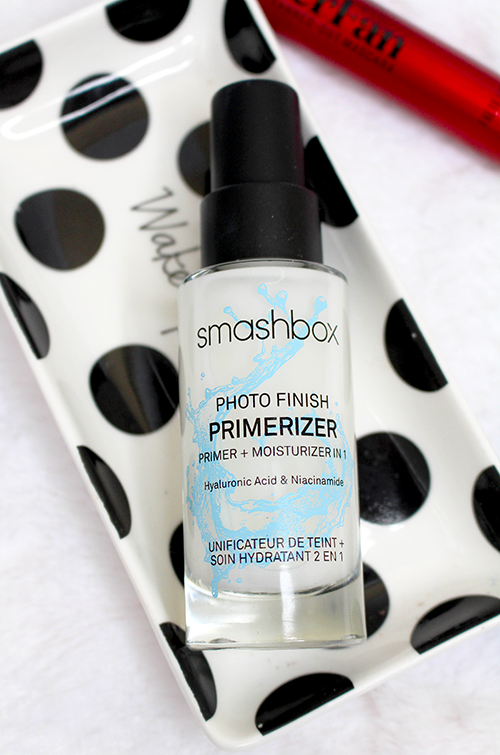 I actually found this to be one of my FAVORITE primers at the moment due to how well the Smashbox Primerizer did those things. As I was beating the last drop of primer out this morning, I made a note to order a new one. I’m so glad you shared this one. I have dry skin so I’ll definitely need to apply moisturizer as well. I have never tried that primerizer it does look so great for softening those lines. I will look for it when I shop for my secret weapons. This sounds great. I bet my daughter would love it. She’s into makeup and things like this. I’ll have to show her! I’m not happy with my current primer. I will be grabbing this, as well as using ebates! I am going to have to try this stuff. I always have a problem with my foundation coming off throughout the day. I love that this gives the matte finish! 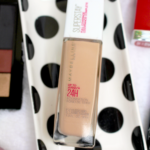 I have actually heard of this stuff, which surprises me because I very rarely hear of new Beauty items. Thanks for the great review. I will have to try it out. 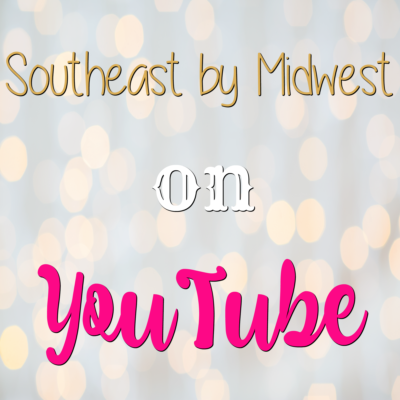 Reviews like these are helpful since primerizers and other products aren’t always inexpensive. The right one can be money well spent. My wife might like this. I have heard of Smashbox. My teenage dog sitter is crazy for that line. Any samples I get, I give to her! I love that this is weightless! I hate when make up is heavy on me! It all feels greasy to me. I can’t wait to try this! I’m not great with makeup, and I’ve never heard of primerizer. This sounds like an interesting product and something that I could use. That’s so good to know that they have primers for all skin types. Thank you for this great review. Great products! I don’t really use primer but my friend would love this! Smashbox is one of my go-to brands. I always love their quality. This primer sounds like something worth adding to my collection! They really do have an amazing products.